TD - Saw this & thought of you! AM that is funny! Thanks for the laugh. I love how neat everything looks. Those are some huge wood chips! TD, your radishes and onions did scrub up well. AM, that was a laugh. TD, Great looking, neat garden! AM, I had to save that cartoon! That's my exercise regimen. Thanks for all the responses and the comments concerning the garden being "neat". Mrs. TD says I am a perfectionist. It usually takes me forever to complete a project. I surprised myself with SFG by not being as fussy about the construction of the boxes and cages. It was somewhat therapeutic not worrying too much about whether or not the wood was cut exactly straight or the boxes were exactly square. After all it is garden construction not fine cabinetry and as they say, "Close enough for government work". At this point in time the boxes and the paths look neat. We'll see if it stays that way as the summer progresses. Update for Thursday June 11, 2015. The radish square has now been harvested completely and is available for a new crop of something (yet to be determined). Here is our salad for the evening meal. 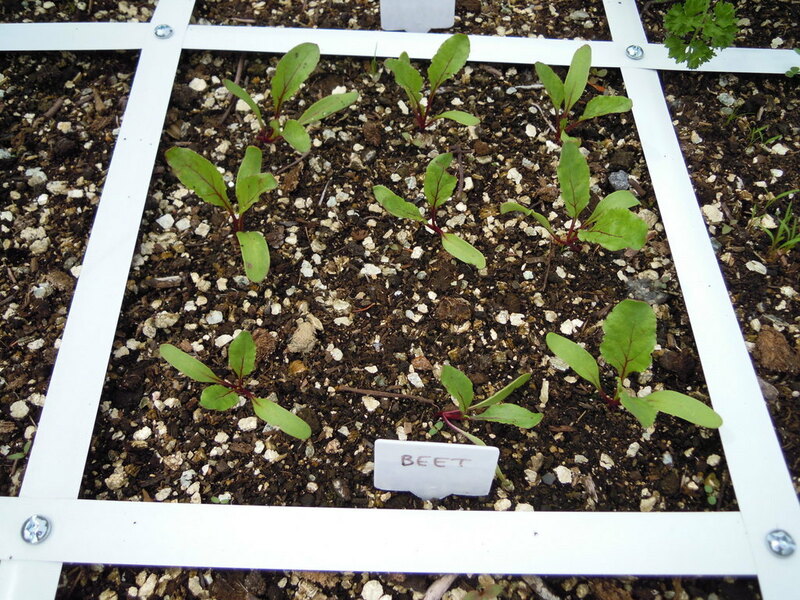 It consists of SFG radishes, SFG radish leaves, SFG beet tops (tiny ones from thinning out the beet square), SFG green onions, SFG chive flowers, store bought green pepper and store bought iceberg lettuce. 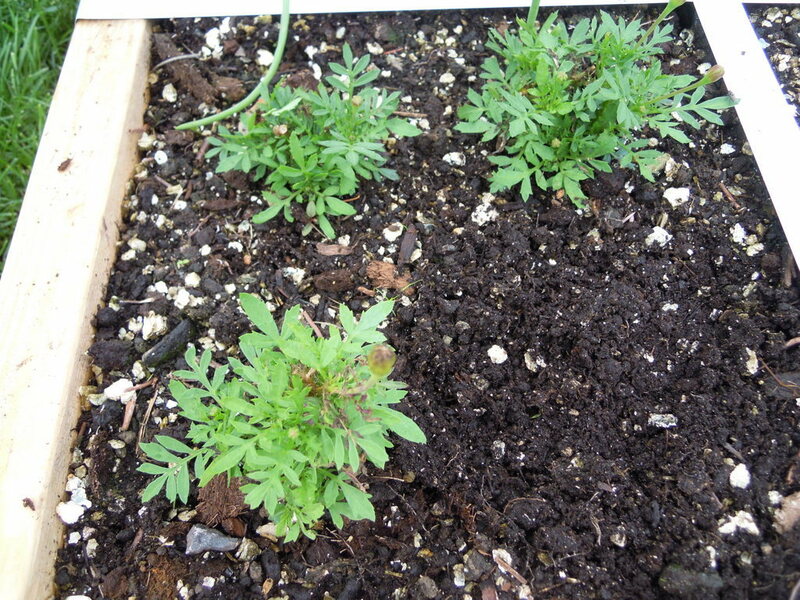 Here are the marigolds that were almost lost due to frost or over watering. They are coming back! 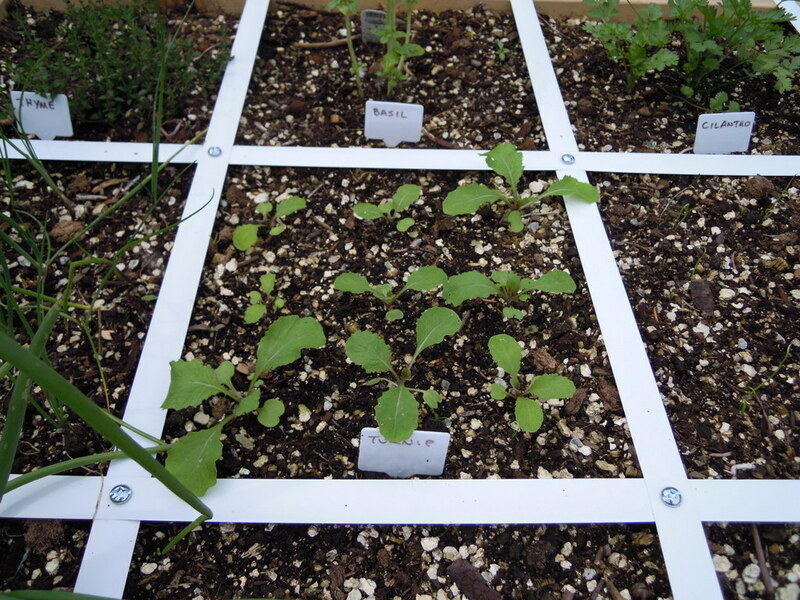 The new square of white radishes is looking good. 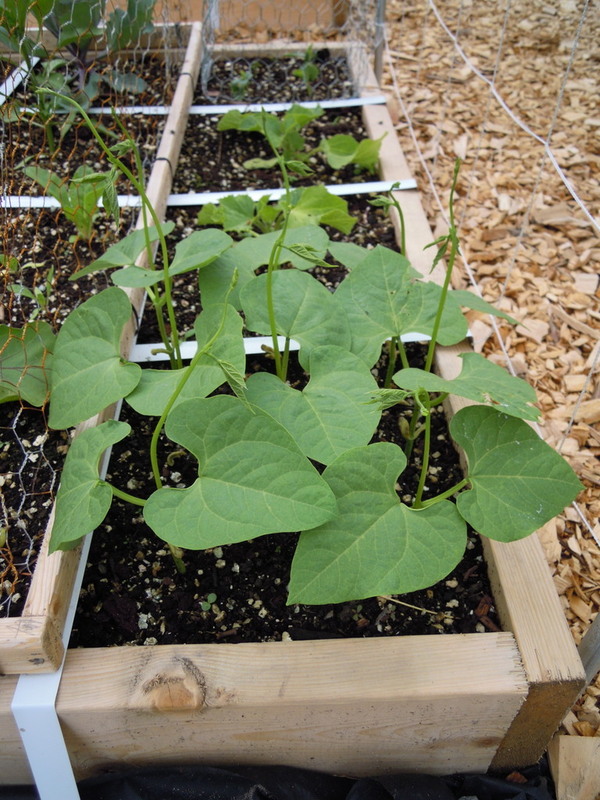 The pole beans are zooming higher. I'll soon need to start training them to climb the trellis. 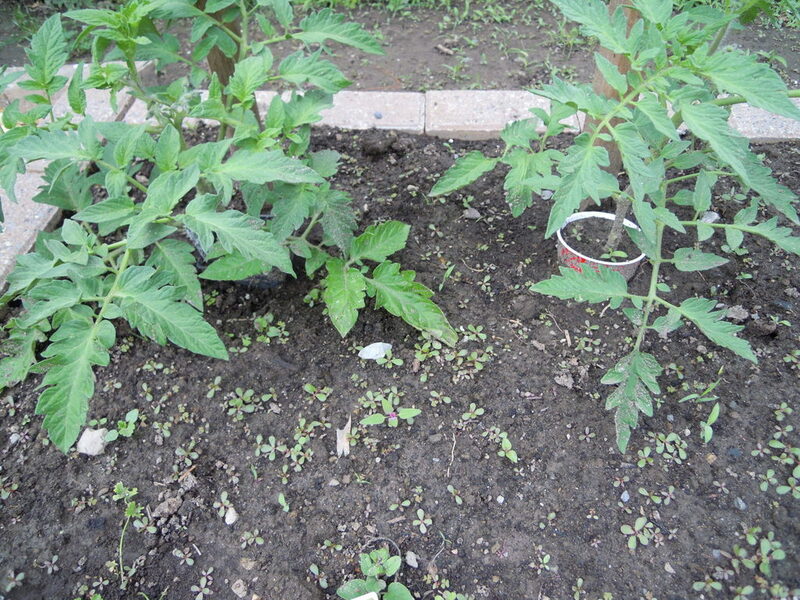 Yikes ... weeds are abounding in the regular garden around the tomato plants. Compared to the easy weeding of the SFG boxes this will not be fun. That all looks so wonderful; but, trolleydriver, ICEBERG LETTUCE, AND STORE BOUGHT AS WELL. PS: Your plate looks lovely. Kelejan ... unfortunately our SFG iceberg lettuce is too small to harvest but we should be able to take some off each plant soon. We are expecting delivery of our Vitamix blender today. Can't wait to try it out. By the way, I found out you can use the Vitamix to make liquid compost from kitchen scraps. Some people think it is over the top to use such an expensive machine for that purpose but why not. I wonder if it would be any good to pour some liquid compost into the regular compost bin rather than directly onto the garden. I'm not sure I would use the liquid compost in my SFG beds. 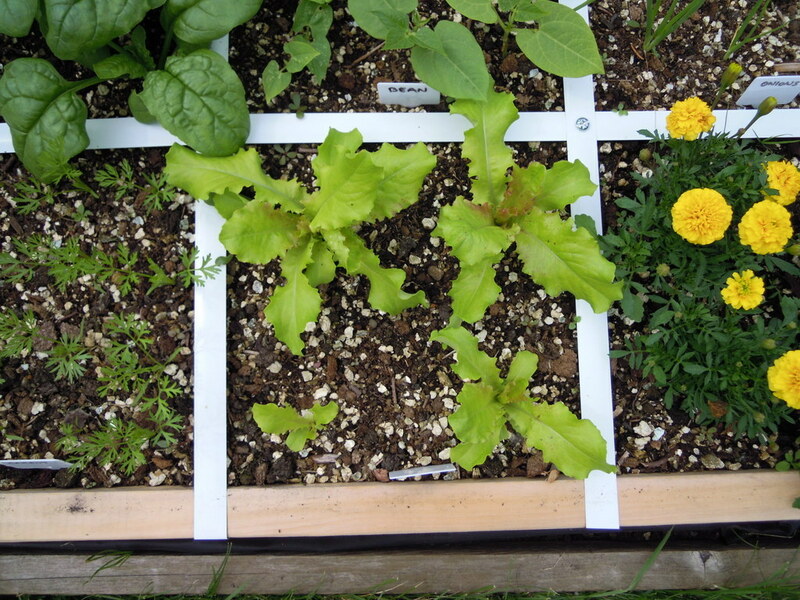 @trolleydriver wrote: Kelejan ... unfortunately our SFG iceberg lettuce is too small to harvest but we should be able to take some off each plant soon. OK, TD, you are excused. 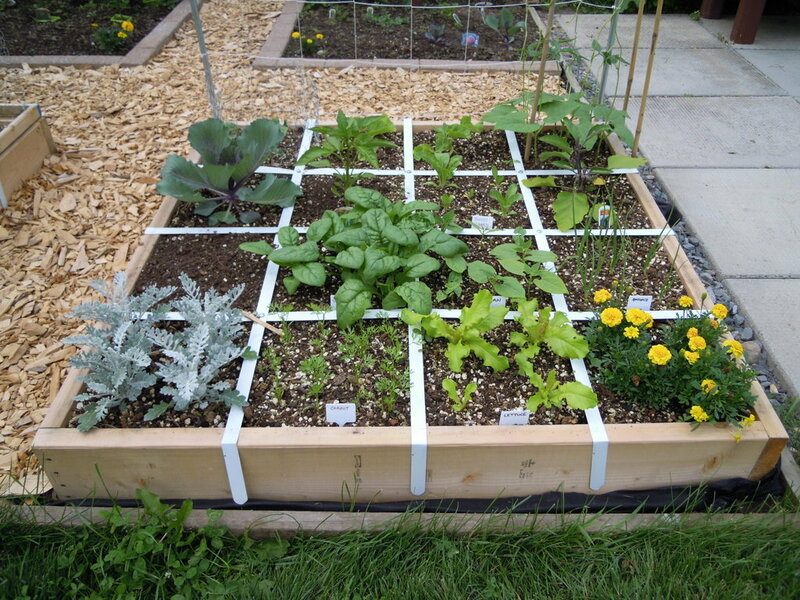 Eventually you will never get store-bought again except in the winter. 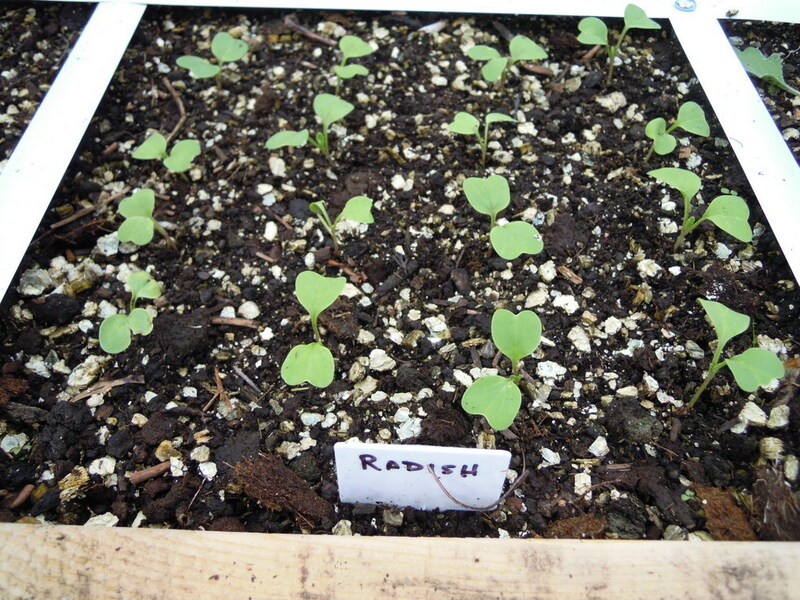 I have to admit that the radishes we got from the SFG were they best I have ever tasted. My wife also remarked on how good they are. We have had a ton of rain this week. We had rain all day today. My goldfish pond is full to overflowing. TD, I well remember the taste of my first produce from SFG. 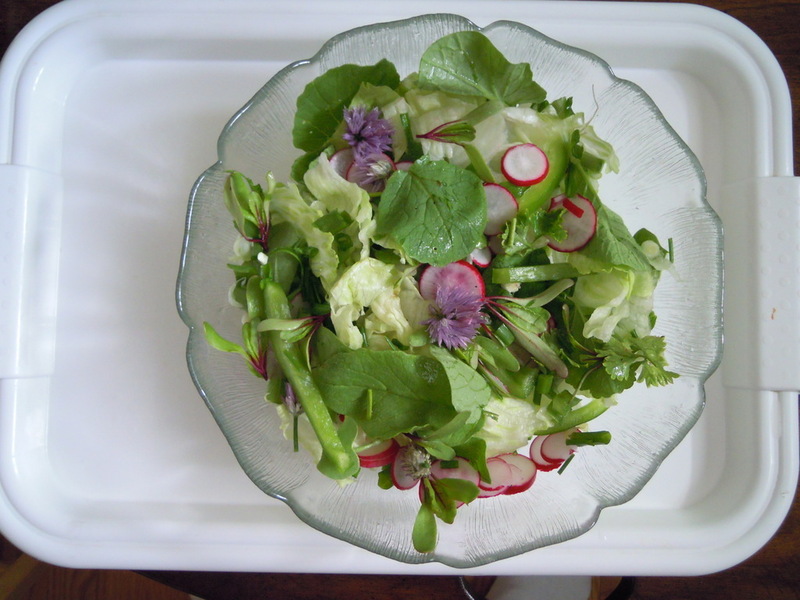 Radishes were my first, so crisp and juicy, followed be lettuce. Make sure the goldfish do not go with the overflow. I'm sure they would make good food for the garden but much better that they stay where they are to give you continued pleasure. Box #2 is really filling out. Spinach is looking good and that cabbage is outgrowing its square. 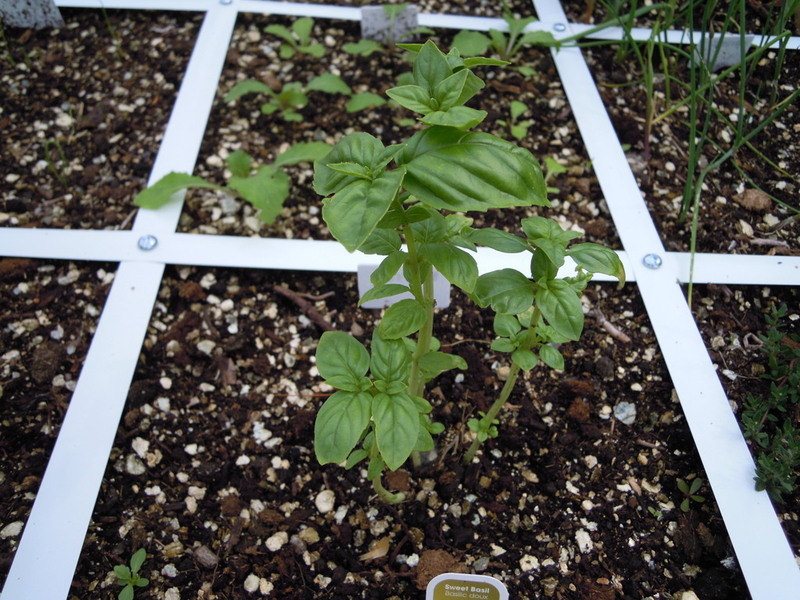 The sweet basil plant that got into trouble during a cold spell is recovering nicely. Lettuce ... I think there is a problem. Some of the leaves have a reddish colour on them. Hen and chicks in a dry sunny spot. Wow! That is a wonderful and beautiful tour! Thanks, TD. I think the lettuce is fine. I grow a lot of lettuce and they come up all different colors from each other sometimes. It's all good. Glad your basil is doing okay. How many hens and chicks did you start off with and how many years ago? Whatta display! 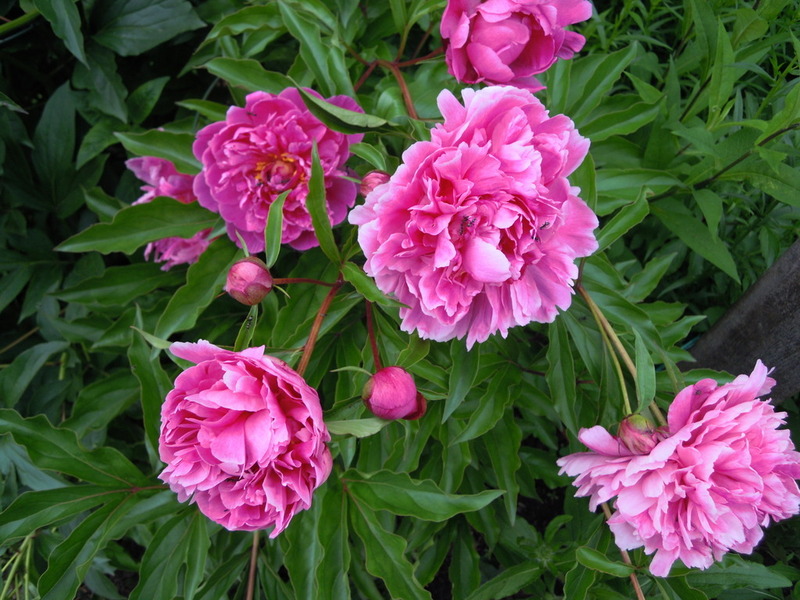 Looks wonderful, TD... LOVE those peonies...! CC ... We've had hen and chicks for many years. We started with just a couple of plants in a bed less than a foot wide between the garage wall and sidewalk. 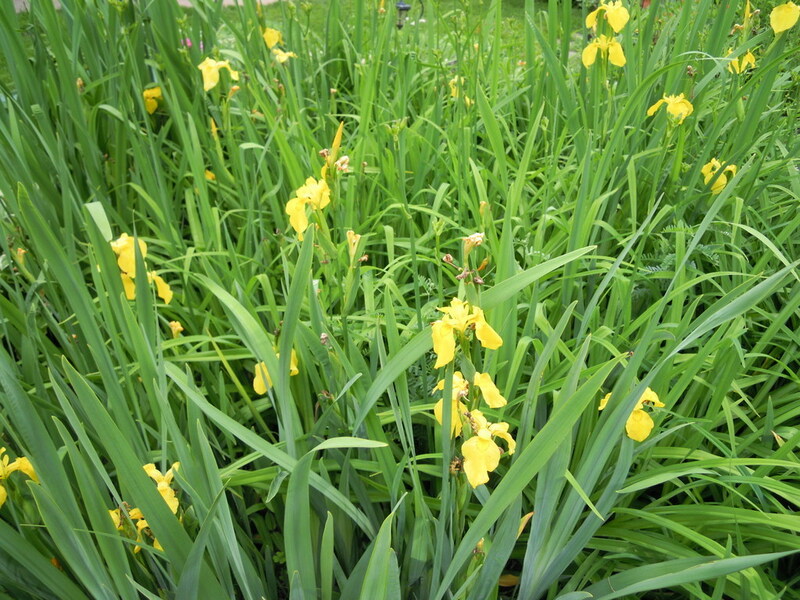 Some were transplanted to the edge of the goldfish pond. About a year and half ago we took out the bed along the garage wall and some of the plants were moved to a bed at the front of the house. This will be their second summer in that location and they have just taken off and are multiplying like crazy. What is shown in the photo is just a portion of what is there. 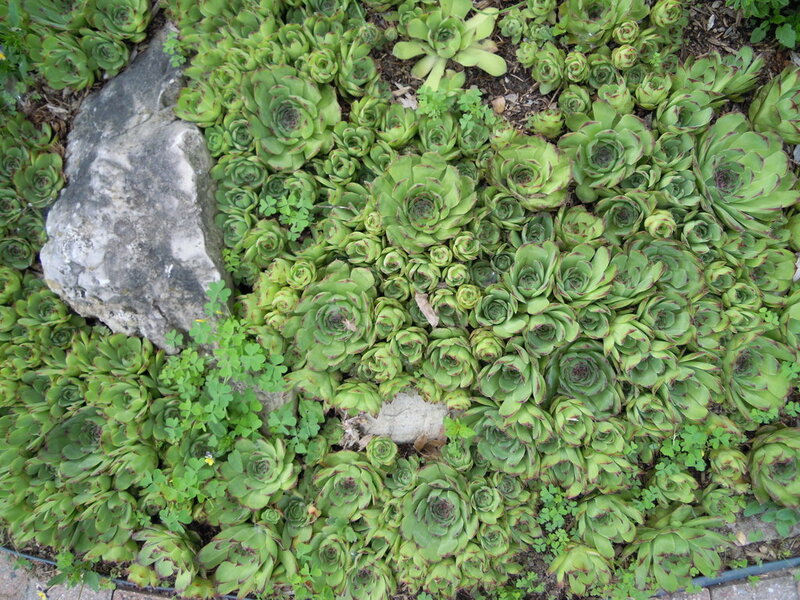 Even the Canada Post mailman commented that he has never seen hen and chicks that big. Unfortunately we have to replace the front porch and steps which probably means this bed of hen and chicks will have to be moved yet again while the work goes on. TD, Looking good. Thanks for sharing. Wow what beautiful pictures, trolleydriver. 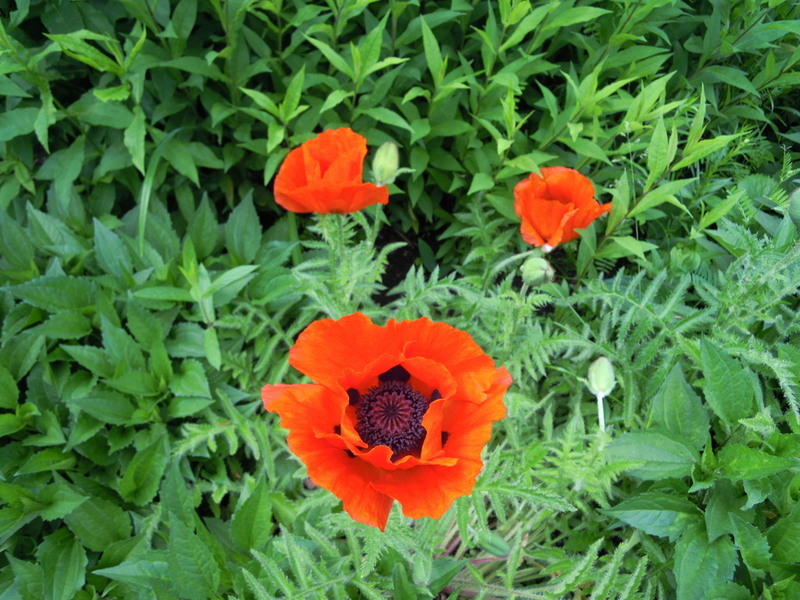 I'm planting more and more flowers all the time, but find it tricky sometimes keeping them blooming for long. Good luck with your garden, and I love your pictures so far! What a beautiful garden! I am jealous of your pond. Gorgeous flowers! Marc ... My wife looks after the flower beds and has done a great job. 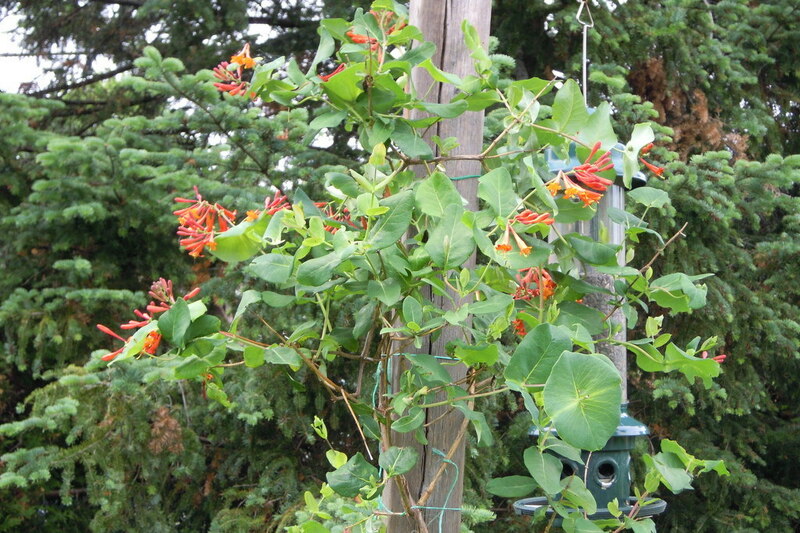 She uses mostly perennial flowers. She also has a lot of hostas in the flower beds. 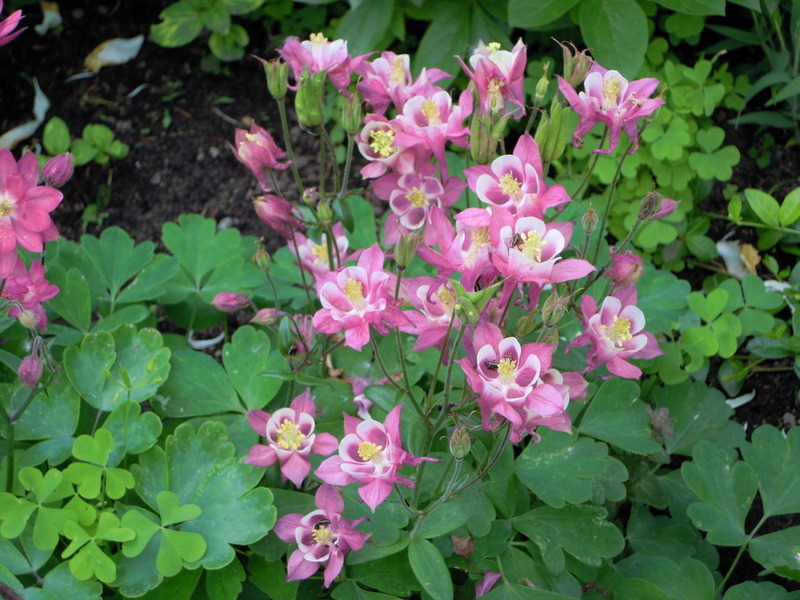 I don't like their flowers very much but the plants each cover a lot of area and almost act as a living mulch to cut down on weeding. 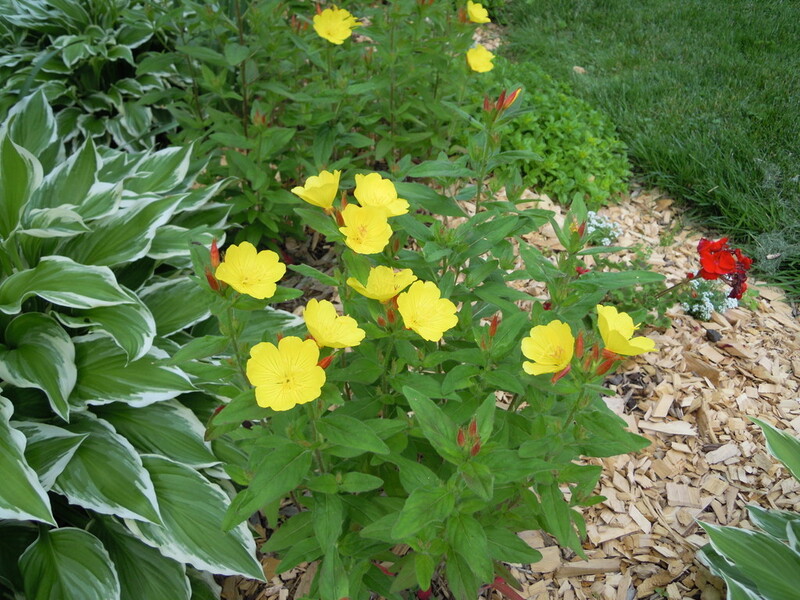 We use very few annuals because of the cost of replacing them every year from store bought transplants. We are not set up to start our own from seeds. 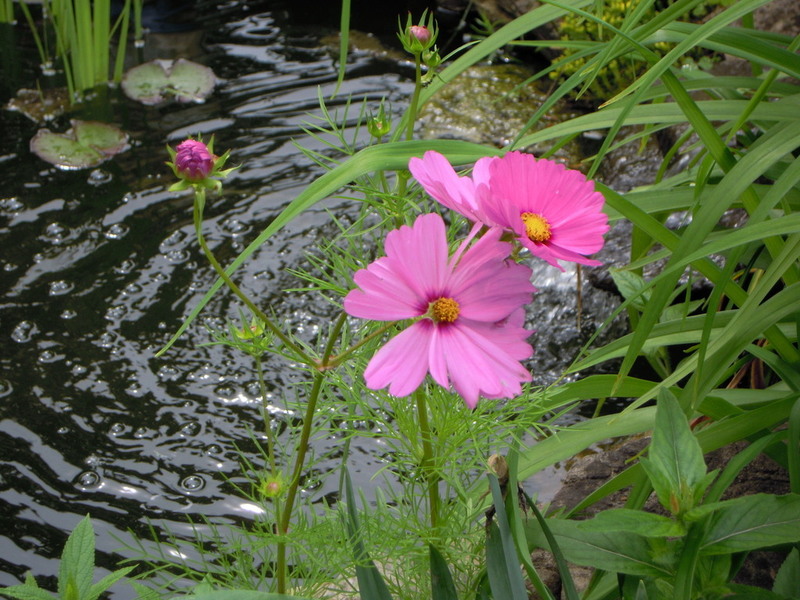 The annuals will flower for the whole summer but most perennials flower for only part of the season. Love looking at your pictures, TD. Thanks for posting them. 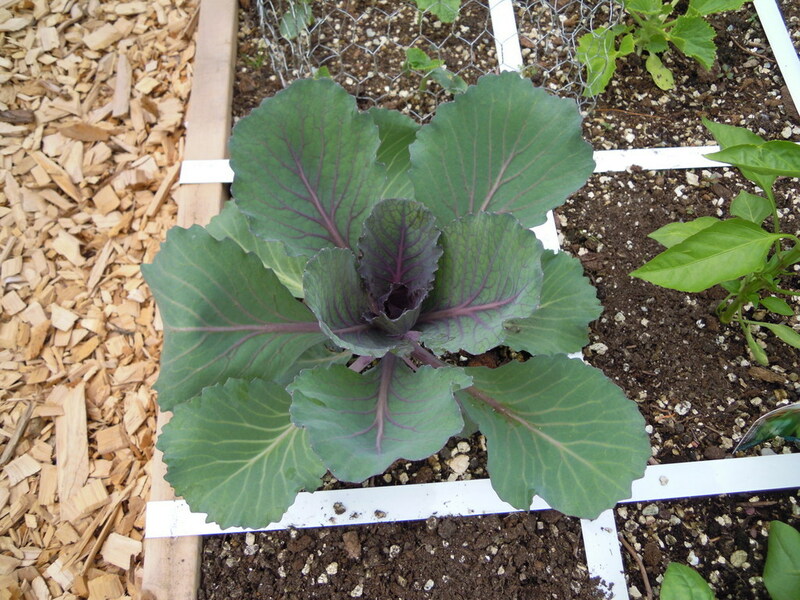 My red cabbage plant is getting huge and the bottom leaves are overflowing the square. Can I harvest some of the outer leaves as the plant grows? Will they be any good to eat? 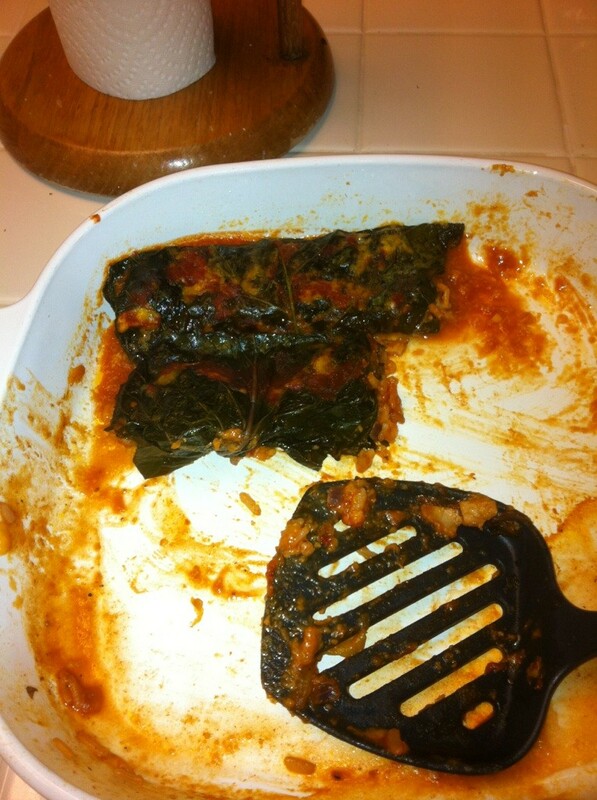 TD, I used some of the outer leaves as wraps for left-over leftovers during the winter. A cabbage leaf is a terrible thing to waste.